When people talk about the Library of Egypt, they usually refer to the Library of Alexandria. The Library of Alexandria was built by the Greeks and the Macedonians when they invaded and conquered Egypt. 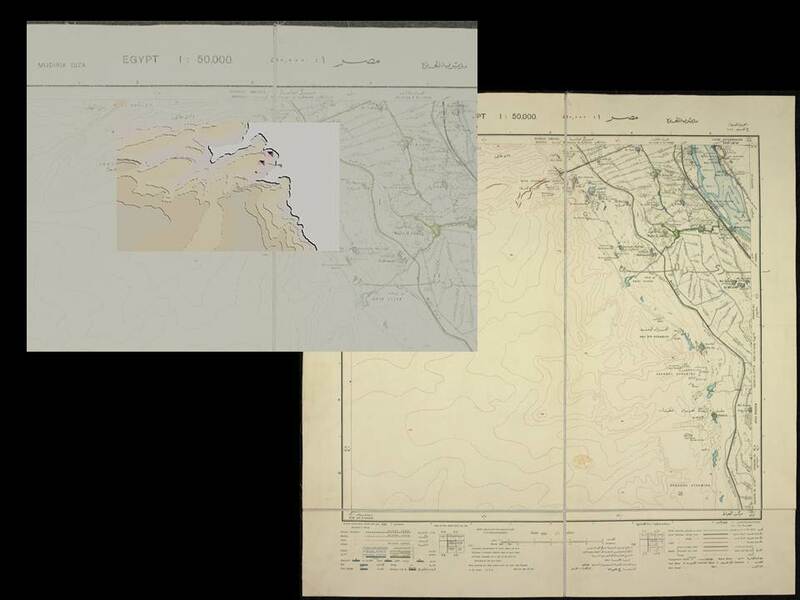 The Library of Egypt is much older and -for the moment- lost. Is it possible that it still exists? Tablets of knowledge made of gold. 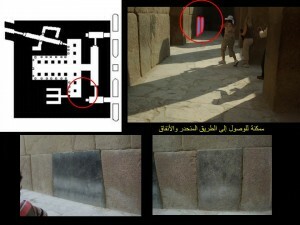 Whoever found this chamber would possess all the knowledge of ancient Egypt. Legend or not, what if there is a kernel of truth behind this story? The Greeks approached the Chief Priest of Egypt-Manetho- (Circa 323 BCE – 222 BCE) for translation of the Egyptian library documents into Greek and Macedonian. Manetho was Guardian of the Library and was literate in the ancient language (s) of the Library. Manetho’s Priest Name is interesting when compared to the Gold tablet, Weapons, Glass Legend. He chose an unusual name that is the combination of male and female deities: Ibis headed Thoth, god of Writing and Neth, goddess of Weapons. See Berossos and Manetho by Gerald P. Verbrugghe and John M Wickersham , University of Michigan Press for more information. The Library of Alexandria was burned by the Romans. Its annex at the Serapeum temple was destroyed later. But the Library of Egypt was never found. I decided to go looking for the Library of Egypt. 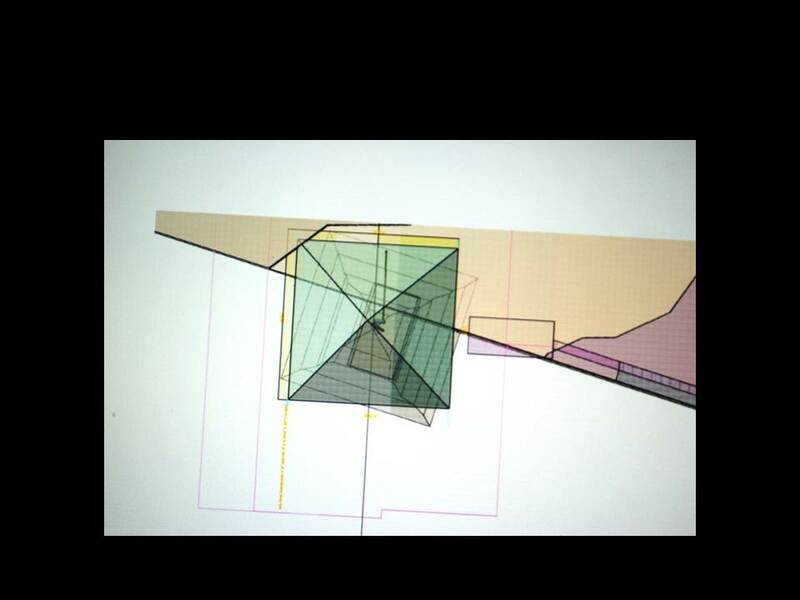 Since I am an architect, I looked at the big picture first and worked my way down to the details. I drew a three dimensional site plan of the Gizeh Plateau. 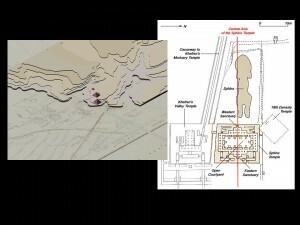 I suspected the Gizeh Plateau was a good starting place to hunt for the buried chamber for several reasons. 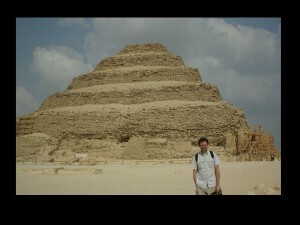 Architecturally it is one of the most significant sites in Egypt. 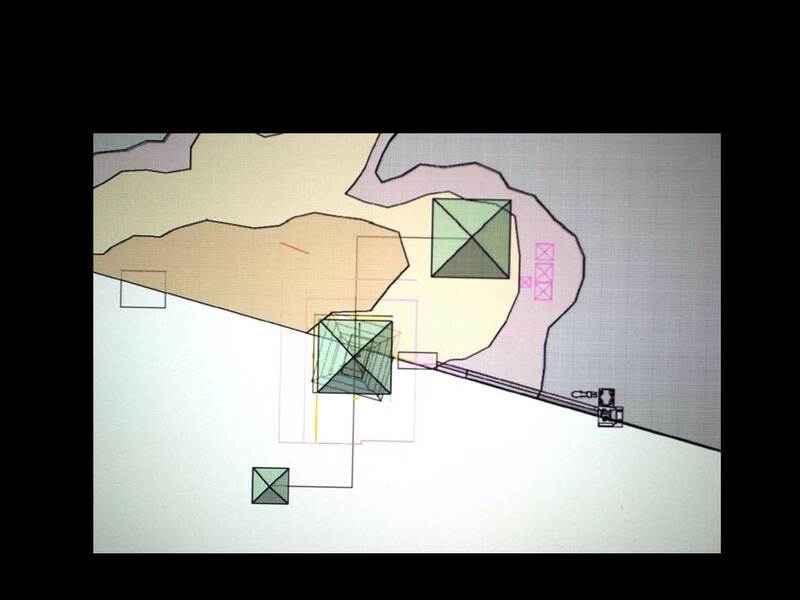 Alot has been found underground at Gizeh. 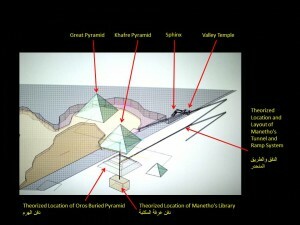 Manetho for some reason decided not to mention who built the middle pyramid at Gizeh when he translated information for the Greek’s new library. My radar is up. I think Manetho’s hiding something. 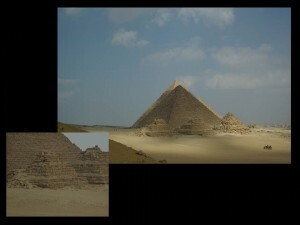 The middle pyramid at Gizeh intrigues me. 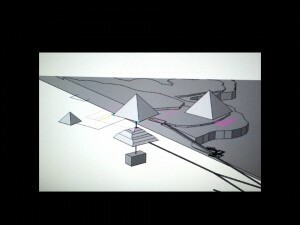 While much is made of the Great Pyramid, the middle pyramid strikes me as more important. For one thing it has the Sphinx in front of it. Second, it has no interior chambers that we know of except for the chamber located at almost the center of its base. Emphasis on almost the center. 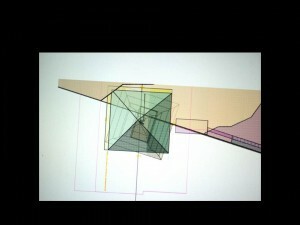 A structure this perfect that contains a single chamber that is off center cannot be accidental. 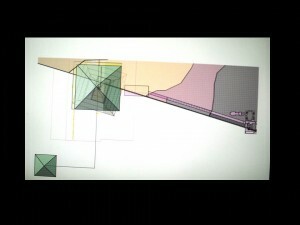 I suspect something undiscovered lies center within the mass of the middle pyramid. 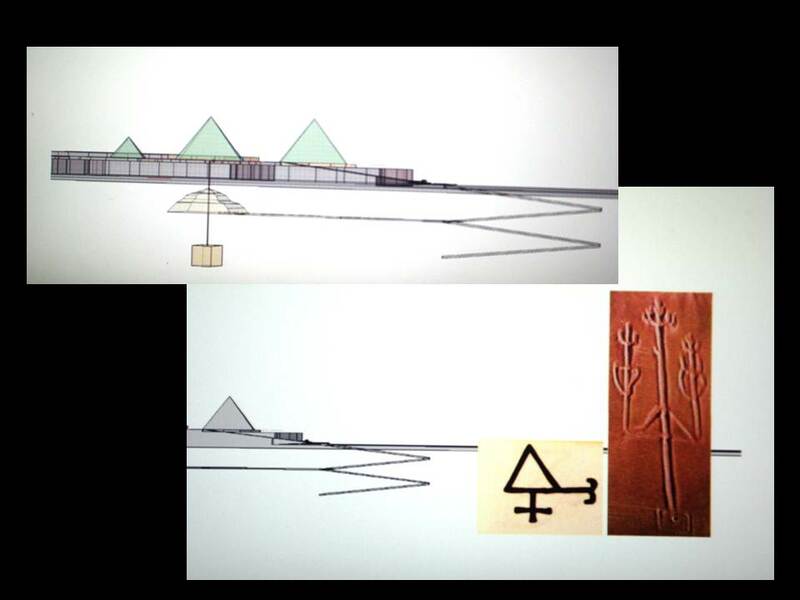 I noticed that the Causeway leading from the Middle Pyramid to the Valley Temple is bent south east. Following my theory of the North Pole catastrophically shifting from southern Greenland (+/-) to present location about 22 to 25 degrees, approximately 11,000 years ago, this bent Causeway points true East. The pyramids orient about three degrees from true north. However some of the underground chambers orient the same as the bent Causeway. What’s going on? 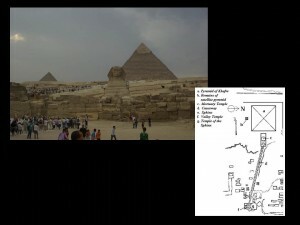 I compared three major pyramid sites around the world; Mexico, China, and Egypt. 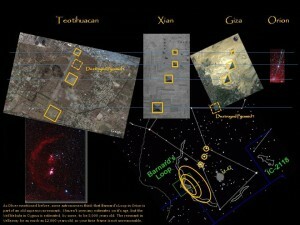 I found that they seem to align with the stars of Orion’s belt, back when Orion had four stars. The fourth star exploded sometime between 7,000 and 11,000 BC. Stay with me, this will make sense in a minute. 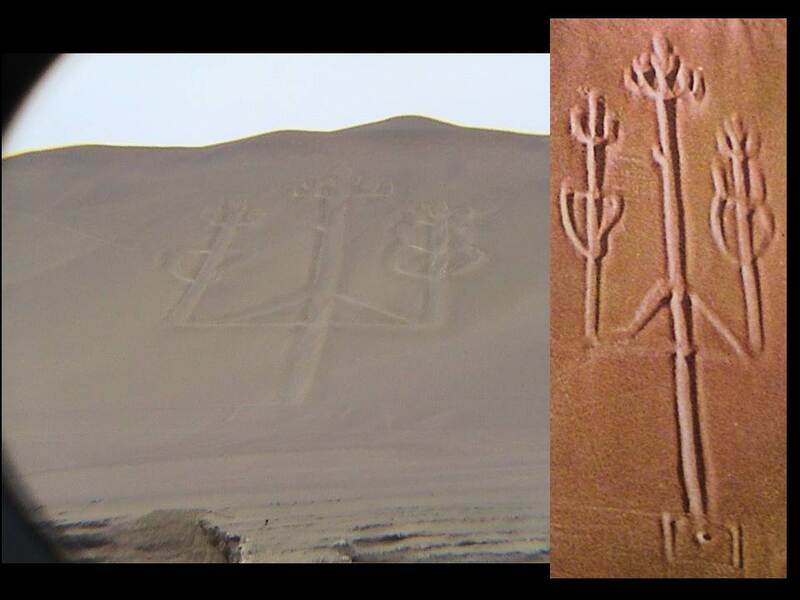 In Peru I studied a seaside carving that points at Egypt. 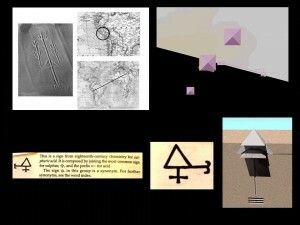 It seems to describe a pyramid associated with three “pillar stars” as the Polynesians called them. 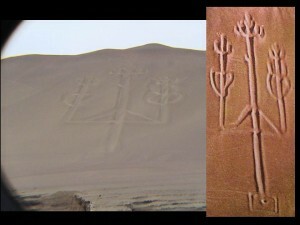 I wondered if the carving was pointing at one of the Gizeh pyramids. 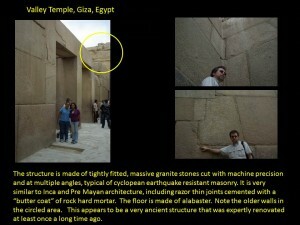 If so the lower portion of the carving seemed to suggest a shaft beneath the base of the pyramid and a chamber located at the bottom of the shaft. Revelation 9:1 makes for interesting reading at this point. 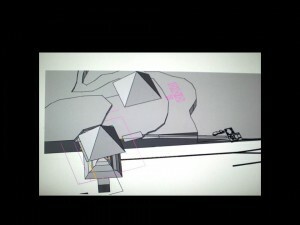 It talks about a shaft leading to something called the Abyss. Creatures emerge after a fallen star named Apollon opens the shaft with a key. Apollon is equated with Apollo. He is the only Greek god that the Romans did not rename. Apollo was a god of music, science, and a champion of the poor and oppressed. In short, he was a benevolent scientist and artist. Ancient symbols seem to be pointing at a pyramid with something buried under it. The symbol for sulfur has the Egyptian key symbol embedded in it. 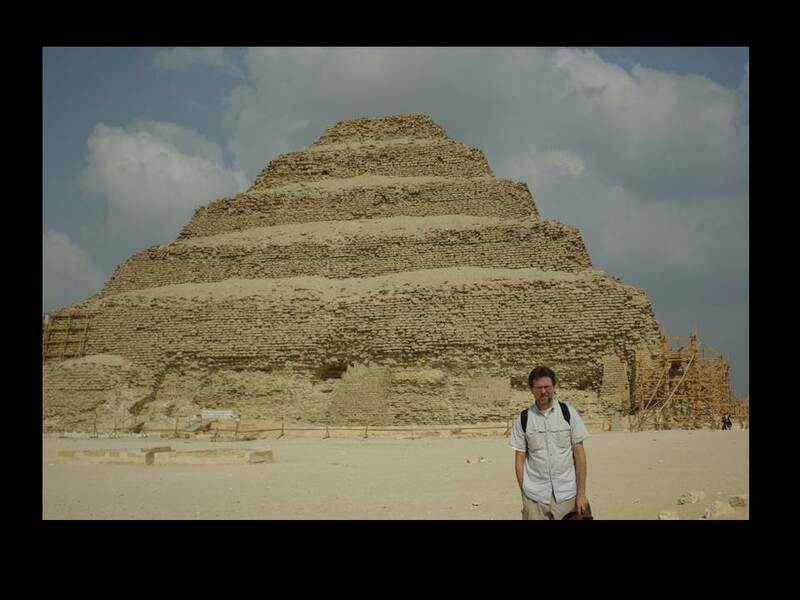 I was taught as an architect that this pyramid is the oldest in Egypt because it is a step pyramid. 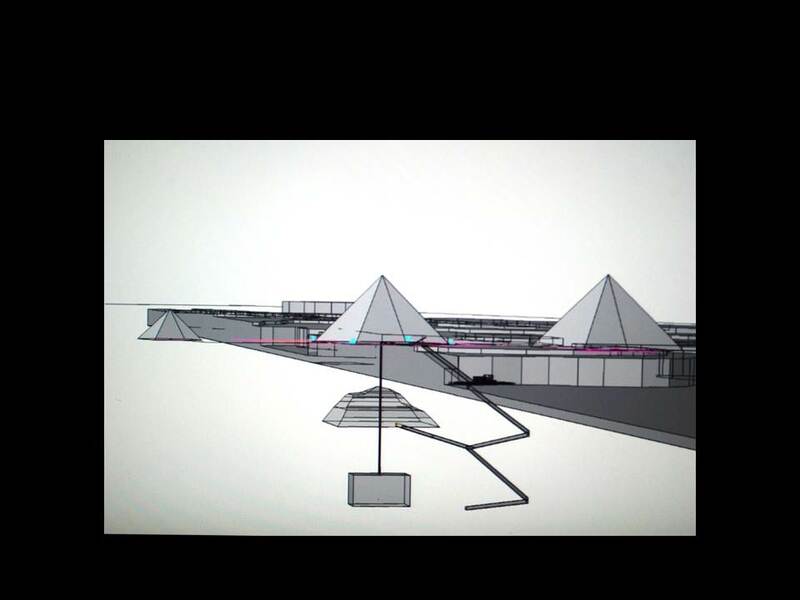 If it is so old, then why are later mini step pyramids built around the three pyramids of Gizeh? According to Manetho, the sixth pharaoh of Egypt was Oros. His name is equated with Horus which is equated by the Greeks with Apollo. So this what I am guessing: Under the middle pyramid lies a ruined pyramid encased in rock accessible by caverns to the west and possibly a tunnel system to the east. 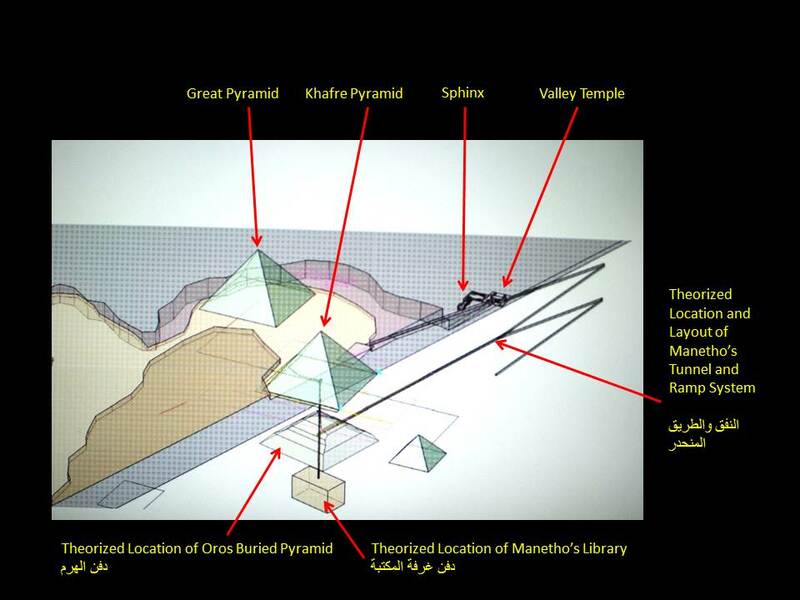 If this ruined pyramid exists, I would guess its age to be as Manetho dates the Oros reign, approximately 31,600 BC. I understand that sounds crazy, but that is Manetho’s dating and I choose to stick with it, lacking anything to contradict it other than academic emotion. If the wrecked pyramid is that old, it would likely be oriented similar to the chambers I observed buried in the Gizeh Plateau. I show it oriented towards the old north pole where it existed up until 11,000 BC. when it shifted suddenly. See Charles Hapgood’s Path of the Poles for more information on Polar drift. I show a ramp/tunnel system using the 10 degree slope I observed at other sites such as the ramp at Hatshepsut. Here I have labeled everything in English and I hope not too badly translated Arabic. The Key to entering my theoretical ramp and tunnel system would be from the Valley Temple. Head for these two limestone panels. Sulfuric acid is the only acid that can loosen these panels without setting off a toxic smoke from the alabaster floor. I am not suggesting you test this idea. Not unless you enjoy staying in an Egyptian jail. The Valley Temple appears to be very old and appears to have been a renovated structure. Note the older stones behind the Inca-style granite facings. Well that is my theory. Thank you for reading. 1 The fifth angel sounded his trumpet, and I saw a star that had fallen from the sky to the earth. The star was given the key to the shaft of the Abyss. 2 When he opened the Abyss, smoke rose from it like the smoke from a gigantic furnace. The sun and sky were darkened by the smoke from the Abyss. 3 And out of the smoke locusts came down on the earth and were given power like that of scorpions of the earth. 4 They were told not to harm the grass of the earth or any plant or tree, but only those people who did not have the seal of God on their foreheads. 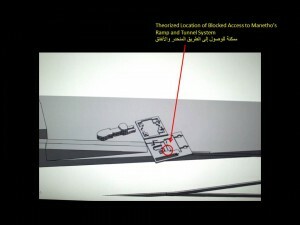 5 They were not allowed to kill them but only to torture them for five months.